Claudius and Laertes launch a poisonous plot. ClaudiusThe king, furious that Hamlet is returning, convinces Laertes to duel Hamlet with a poisoned, sharpened sword. He also plans to offer Hamlet a poisoned drink if Laertes fails to kill him., LaertesLaertes agrees to Claudius’s plan, hoping to kill Hamlet in revenge., GertrudeThe queen brings Claudius and Laertes news of Ophelia’s death by drowning., MessengerThe messenger brings Claudius and Gertrude letters from Hamlet. Claudius finds out from one of Horatio’s letters that Hamlet is back in Denmark. He ropes an angry Laertes into yet another plan to do away with the prince. 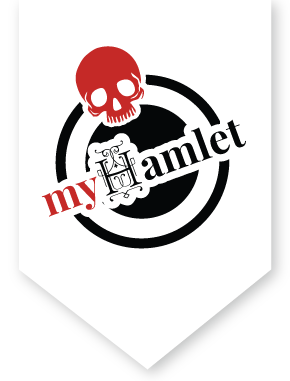 Laertes and Hamlet will have a not-so-friendly duel, but Laertes will be fighting with a sharpened, poisoned blade, rather than a blunted one. Just in case the blade and its poison don’t work, Claudius will also poison a drink and offer it to a thirsty Hamlet during the duel. After they settle on the plan, Gertrude arrives to inform the king and Laertes that Ophelia is dead. She was found drowned in a brook, surrounded by flowers. Laertes grieves over the loss of his sister, while Claudius frets about his plans.